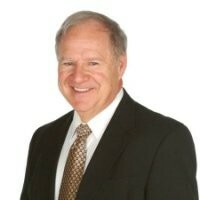 I've been selling residential real estate for 40 years. My wife, Marilyn, and I have enjoyed 47 years of marriage, five children and ten grandchildren. In my free time, I enjoy slowpitch softball, golf, and running marathons. I'm a proud sponsor of the "Lenexa BBQ", a former chairman of The Chamber of Commerce, and a Knight of Columbus. * Because we are RANKED IN THE TOP 1% OF ALL AGENTS IN KANSAS CITY! * Always ranked in the top 10 RE/MAX teams in the Mid-states Region. * WE GO THE EXTRA MILE WITH OUR CUSTOMER SERVICE AND ALWAYS PUT OUR CLIENTS' NEEDS AS THE TOP PRIORITY! * Excellent service, bar none. Over 95% of our sales close with satisfaction. * We charge NO "Agency Management Fees". This we take major pride in. * We offer special discounts on your home listing if you buy your next home through us! * Your home will have maximum exposure to all major house web sites! * Multiple photos and virtual tour for your home! * We pride ourselves in great service and excellent client follow-up! Are you interested in what your home would sell for? Contact Jim or Julie through this website. We are happy to provide you photos, list and sale prices of the homes that have sold in your area absolutely FREE!